Cruise ships dock at Kahului, Maui's commercial hub on the east side of the island. Though the pier is in an industrial area, there's not much to see within walking distance. The neighboring town of Wailuku is the county seat. The island's town square, Queen Ka'ahumanu Center is Maui's premiere shopping and entertainment destination. It is located in the heart of Maui in Kahului. Queen Ka'ahumanu Center is also the main transit hub for the Maui Bus service. From the pier, the shopping center is a little over a mile away and may take you around 25 minutes to walk there. After browsing through the shopping center, the transit hub is located at the rear of the center near Macy's Men's, Children's, Home Store through the breeze way between Long's Drugs and Champs Sports. The Maui Buses arrive and depart at the top and bottom of the hour. For the latest schedule, please check here. For Maui Bus information, please check here. 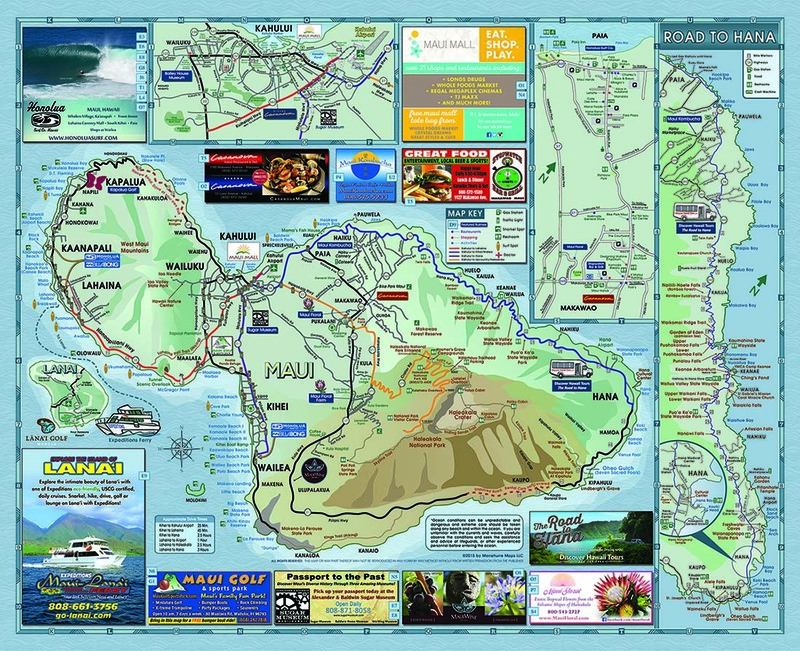 For a trip to Lahaina (West Maui), take the Lahaina Islander Bus Route #20. For a trip to Kihei (South Maui), take the Kihei Islander Bus Route #10. Maui Bus fares (as of 7/1/17) are $2.00 per boarding or $4.00 for a day pass available from the drivers. Please note that on heavier cruise ship days, trips to and from Lahaina may experience crowded buses. Please plan accordingly. Monthly pass holders are given priority boarding when buses are crowded. Royal Caribbean, Celebrity Cruises, Princess Cruises, Holland America and Crystal Cruises all anchor off the historic town of Lahaina. The tenders will go to Front Street, a hub of shops, galleries and restaurants. Less than a landing strip away from Maui's main airport in Kahului, the Kanaha Beach Park is rated one of the best places to learn how to sailboard in the world and consequently most visitors happily let the sound of the surf drown out the noise of the flights landing behind the trees. The same winds that made the area popular with sail boarders have lured in kite-boarders, though sea-kayakers and tentative surfers also find the regular breeze and gentle swell a good way to get up to speed before venturing on to the house-high breaks Hawaii is famous for. Kahului's city center boasts such home-town amenities as shopping malls and the Alexander and Baldwin Sugar Museum. It's best to rent a car to see the island's most visited attractions. Public transportation is not a good alternative. All major firms are located here. Make reservations in advance, as they use shuttles to get you to your car. For more of the historic and less of the air-conditioned mall, head out of town along Route 320 to Wailuku, Maui's county-seat with several historic buildings and a museum that exhibits relics from the missionaries-in-Hawaii era. Watch for sugarcane fields on the drive out of Kahului. The city is 20 miles-a 45 minute drive-east of Lahaina around Puu Kukui, at 5,788 feet the highest peak in the West Maui Mountains. Many local coffee shops and cafes offer Wi-Fi access.